PAIGE VIOLET: REVIEW - LA ROCHE-POSAY EFFACLAR A.I. 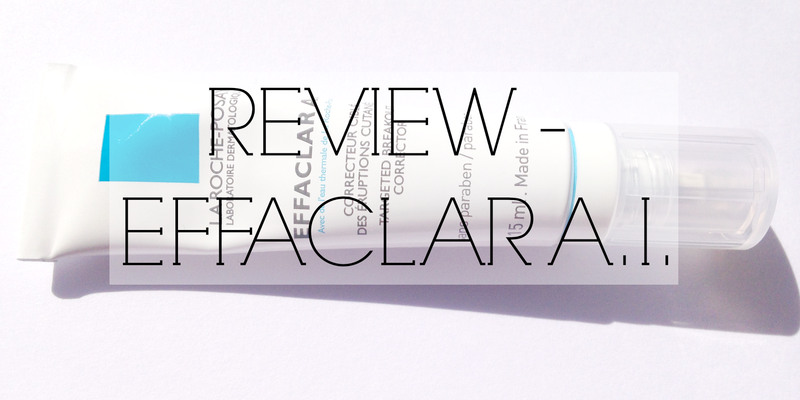 REVIEW - LA ROCHE-POSAY EFFACLAR A.I. Ladies (and gentleman) I introduce to you the little sister of the Effaclar Duo, the Effaclar A.I. Unlike the duo, this product is very rarely talked about in the blogging world but I think it needs more credit! If like me, you suffer from the occasional spot, this it the product for you. In general, I have pretty good skin but of course I get the odd spot here and there, so the I introduced this product into my routine as a way of getting rid of them. And my gosh does it help! Only a tiny amount is needed on the breakout area, and the product works best if you apply it in the mornings to the area to reduce and prevent breakouts. The product has a watery texture and blends easily into the affected area and gets to work straight away. Within an hour of using the product, the redness was minimal and the spot had gone down dramatically. I'm usually affected in my T-Zone, where my pores are most noticeable, but since using this product it has helped reduce my breakouts and minimise my pores. I couldn't love this product more if I tried! 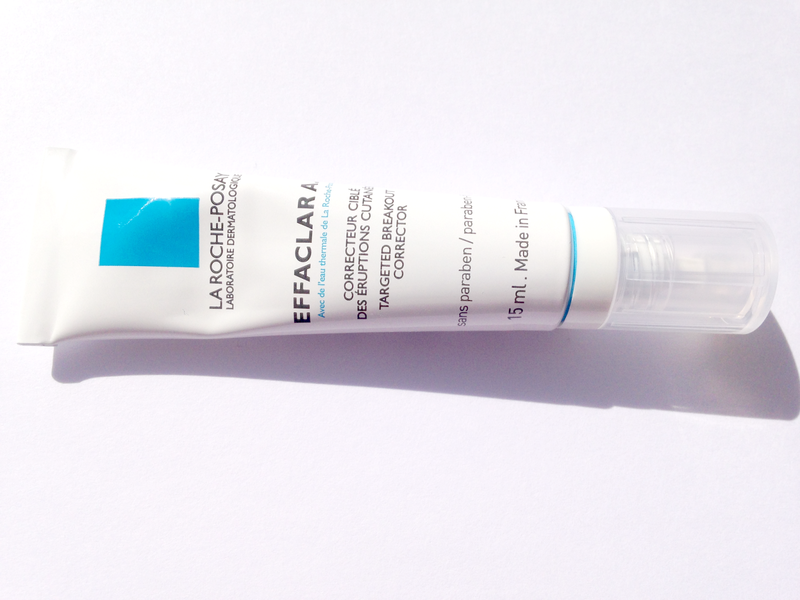 Have you tried La Roche-Posay Effaclar A.I? Twenty year old Law student that's completely obsessed by beauty and makeup. All rights reserved to paigeviolet.blogspot.co.uk. Simple theme. Theme images by Jason Morrow. Powered by Blogger.